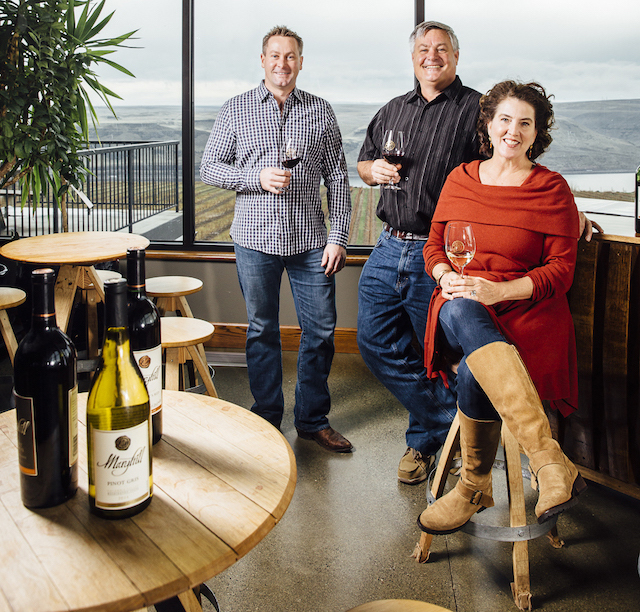 VANCOUVER, Wash. – By the end of the 2019, no producer in Washington state will operate more tasting rooms than critically acclaimed Maryhill Winery and owners Craig and Vicki Leuthold. The Leutholds are poised to unveil their Vancouver, Wash., tasting room on Saturday, April 13, a nearly 5,000-square-foot retail space and outdoor patio near Grant Street Pier to showcase the wines by award-winning Richard Batchelor. It will become a wine-themed centerpiece for the $1.5 billion development project along the Columbia River known as The Waterfront-Vancouver USA. 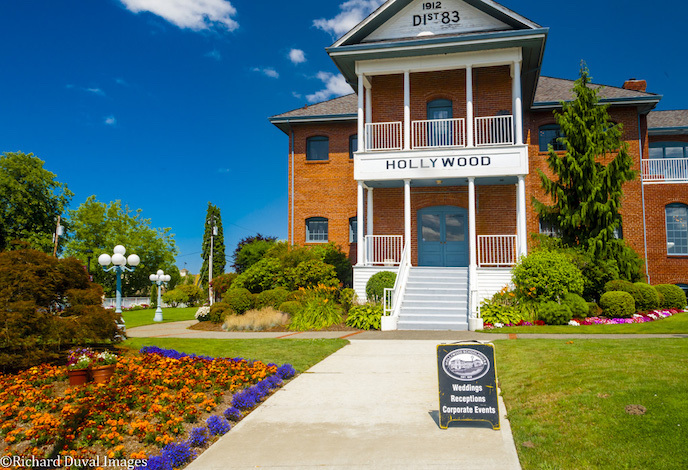 And as Maryhill Winery celebrates its 20th anniversary this year, the Leutholds are on track to join the vibrant wine scene of Woodinville by moving into the historic Hollywood Schoolhouse late in the fall or early winter, Great Northwest Wine has learned. That will give the Leutholds four tasting rooms throughout the Evergreen State, complementing their flagship winery on the eastern edge of the Columbia Gorge and the young Kendall Yards tasting gallery they opened November 2017 in their hometown of Spokane. 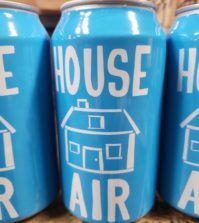 Maryhill’s new Clark County tasting room will include an outdoor patio offering views of the Columbia River, Mount Hood and Oregon’s Jantzen Beach. Grant Street Pier is near an exhibit created by nationally renowned public artist Larry Kirkland, a graduate of Oregon State University, and along the Waterfront Renaissance Trail, the popular five-mile paved biking/walking path that links with Esther Short Park in downtown Vancouver and Wintler Park. In 2017, Gov. 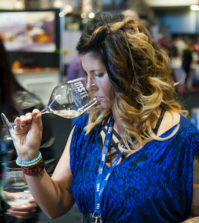 Jay Inslee signed House Bill 1038, which increased the number of off-site tasting rooms allowed under one domestic winery license from two to four. Rep. Cary Condotta, R-East Wenatchee, spearheaded the bill. Goose Ridge Vineyards, with two production licenses in Richland, operates four tasting rooms – Leavenworth, Woodinville, Walla Walla and on its estate. Patterson Cellars runs two Woodinville tasting rooms in addition to those in Seattle’s SoDo enclave and Leavenworth. The Waterfront-Vancouver USA project, a public-private partnership between the City of Vancouver and Gramor Development, Inc., spans 32 acres just downstream from the Interstate 5 Bridge. A former lumber mill and shipyard, it will be transformed into a 20-block urban development with 10 acres set aside for Vancouver Waterfront Park. Plans include 3,300 residential units, 250,000 square feet of retail space for restaurants and shops, and 1 million square feet of commercial office space. Among the participating restaurants will be WildFin American Grill and Twigs Bistro & Martini Bar. Maryhill will be in Block 12 with Twigs, a Northwest-based group that includes four Spokane restaurants. Maryhill will become one of a handful of wineries pouring in downtown Vancouver, but Batchelor’s program is in a different class in terms of production – 80,000 cases – and backed by a decade-long string of accolades. Among the most recent is the 2018 Winemaker of the Year trophy from the prestigious Indy International Wine Competition at Purdue University. Striking billboards touting that award command the attention of anyone driving in Oregon along the Columbia Gorge. 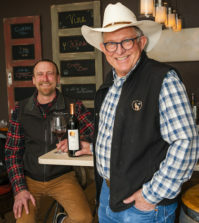 Success is reflected each year in the 75,000 visitors to the Goldendale tasting room, which is a destination, but Batchelor remains a linchpin to the winery’s success. The Leutholds say they have structured his contract accordingly. This fall, Maryhill Winery plans to open its first tasting room in the Puget Sound area when it moves into the Hollywood Schoolhouse, a Washington State Historical Monument. The Leutholds will lease 10,000 square feet – the top two floors of the brick building constructed in 1912 for school district No. 83. It has been owned since 1977 by James and Rosemary McAuliffe, a longtime politican from Bothell. Maryhill will continue to offer the first-floor ballroom for event rentals, a business supported by a full commercial kitchen. Wine club members will be granted access to the atrium and museum on the second floor. In the meantime, popular Alexandria Nicole Cellars will continue to operate its tasting room and wine club on the lower level. Their foray into Woodinville will become the Leutholds’s first tasting room without a view of a river, although the Sammamish River is just a few hundred yards away. The planning, logistics and staffing that comes with doubling their tasting room presence across Washington contributed to the Leutholds’ emotional decision to step away from the concert business. At this point, they are undecided on the future of their 4,000-seat amphitheater and its stage. Meanwhile, the Leutholds continue to secure long-term contracts with their favorite vineyards and growers. Maryhill works with 35 varieties to make as many as 65 wines, sourcing from 12 winegrowers and two dozen of Washington’s top vineyards. 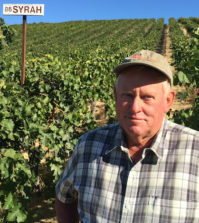 Along the way, Craig Leuthold has developed a market for Viognier. No one in Washington, not even Ste. Michelle Wine Estates, produces more Viognier than Batchelor and production winemaker Dirk Richardson. 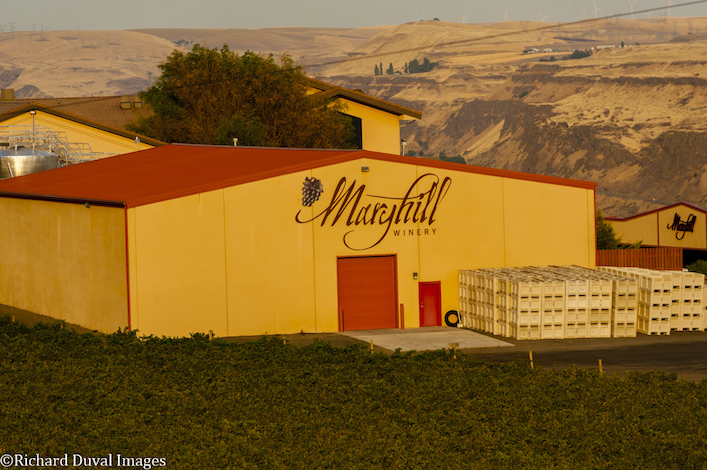 “We like showcasing more obscure varietals at Maryhill, and we’re all about education and expanding consumers’ palates and offering something they’ve never tried before,” Leuthold said. While he’s bullish on the continued thirst for rosé, his new passion is undoubtedly the Spanish white grape Albariño. That would triple their work with Albariño as Maryhill’s contracts with nearly 400 acres of vineyards leave the door open to more exploration and expansion.